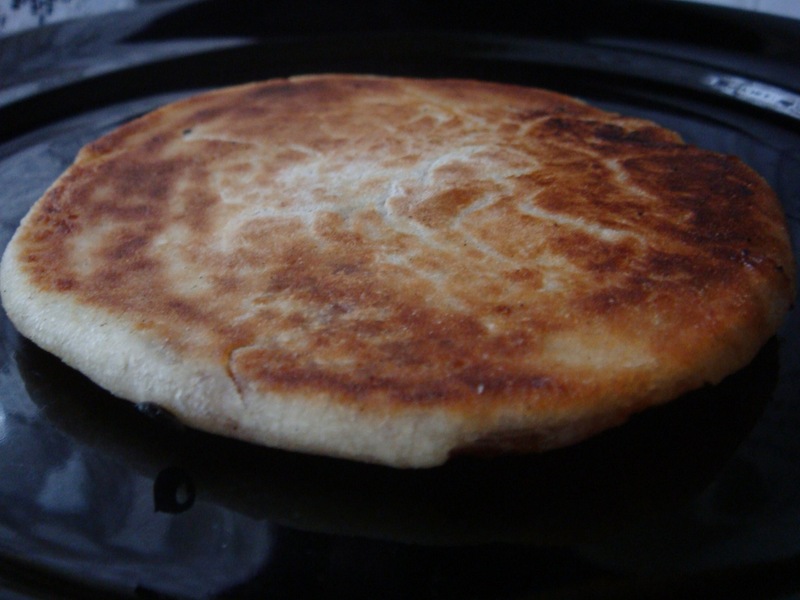 Hoddeok 호떡 is a sweet pancake usually bought from a street vendor in Korea. They’re perfect for a delicious and warming weekend breakfast. 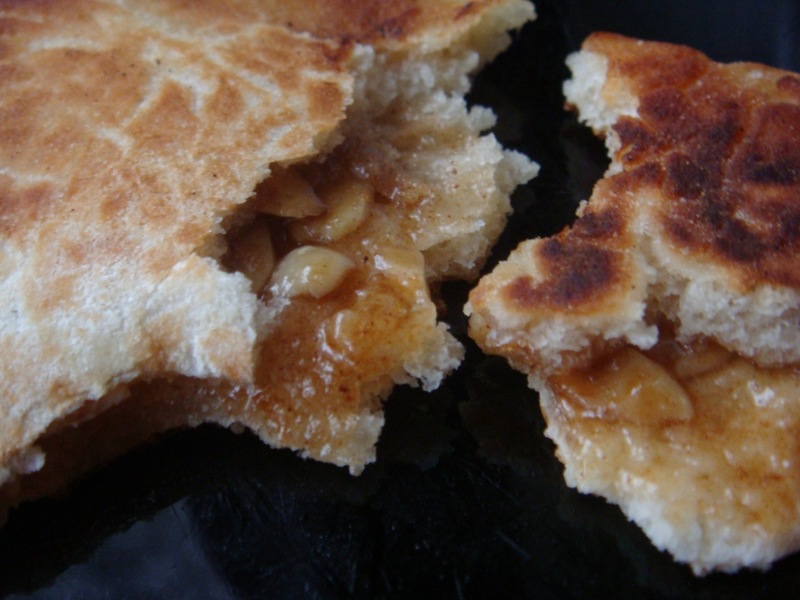 The pancakes can be stuffed with pretty much anything – fruits, nuts and even cheese (if you’re not a fan of sweet breakfasts). 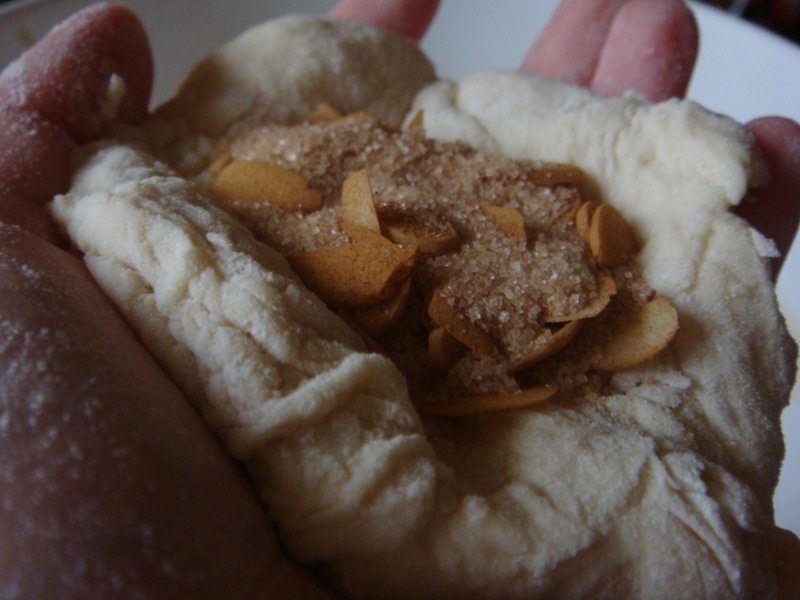 And the way they smell… mhm, it’s a well balanced smell of melted sugar and cinnamon. Totally delicious! Mix the ingredients from above and set aside to ferment for about 10 minutes. Add 2 cups of plain flour and mix well. Cover the bowl with leave to rise for an hour (it should be left in room temperature). In meantime, prepare the filling. 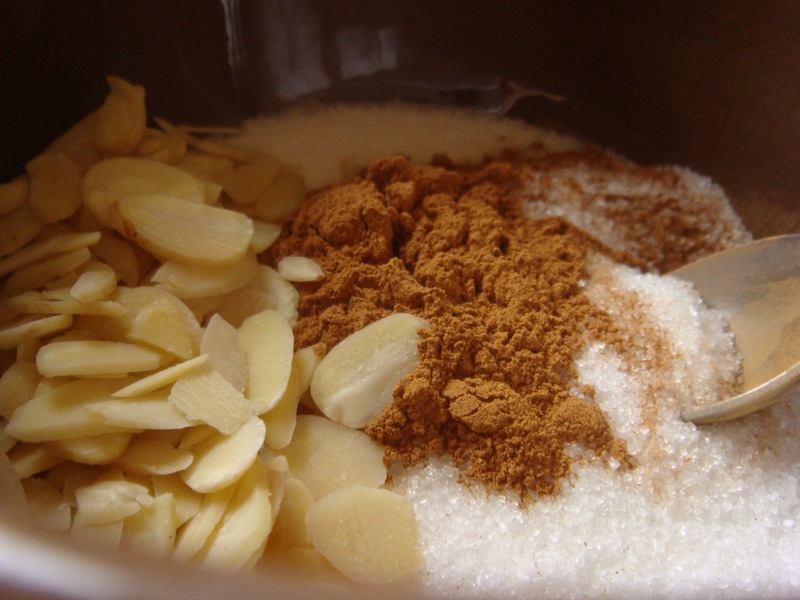 3 tablespoons of whatever you want – I used chopped almonds. Just mix the ingredients with a spoon. When the dough is ready, put it on a cutting board sprinkled with flour and kneed it. 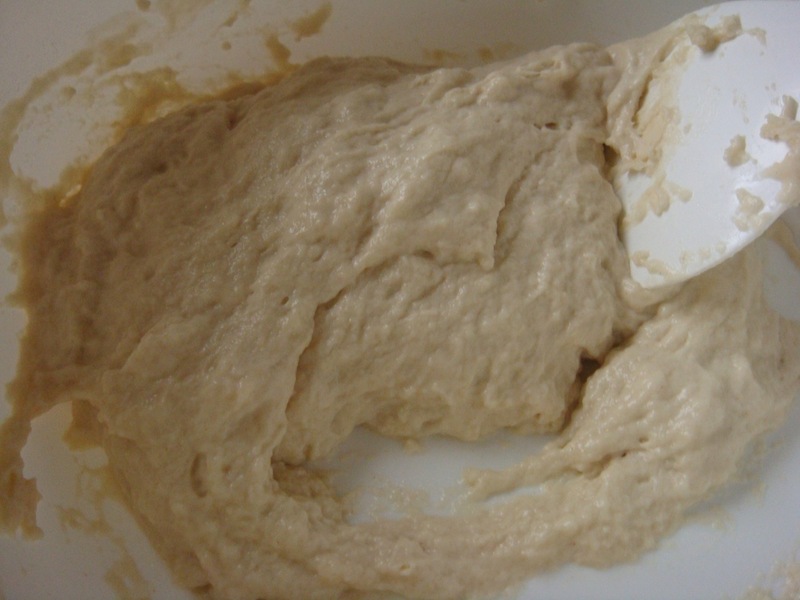 Divide the dough into 6 parts. Flatten each ball, put some filling in the center of it and seal it carefully, like a dumpling. 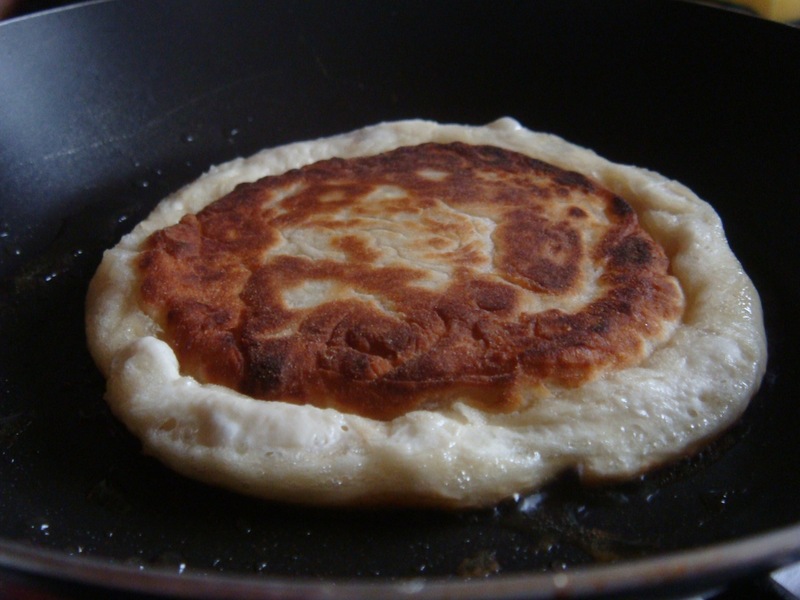 In a pan, heat vegetable oil and place a pancake into it. 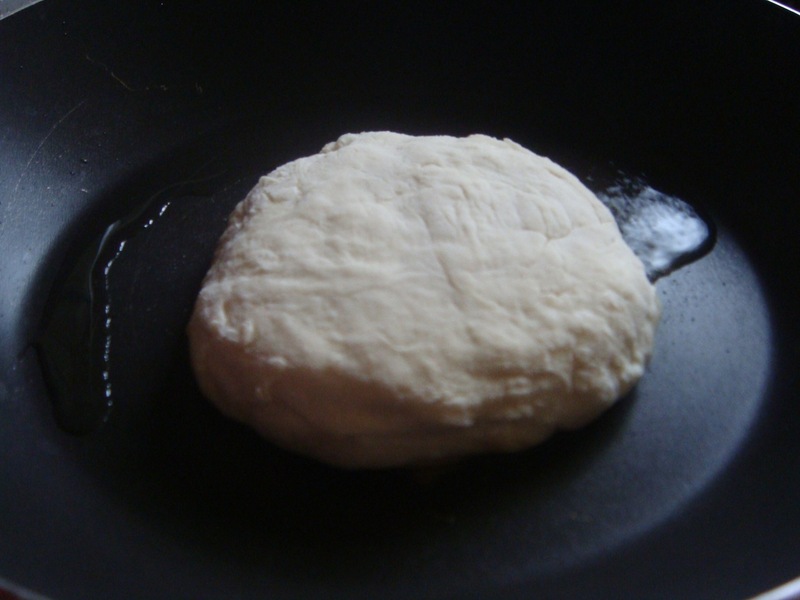 When it turns brown on the bottom, turn it over and flatten it into a disc with a spatula. Cook into brown and turn over again. Turn down the heat and let it cook one more minute. This will make the filling mixture become melted to syrup. Serve right away.